There’s a natural instinct embedded in friendship, a sympathy that makes us willing to fight for someone we like when they are treated unjustly. Charles Duhigg was born in New Mexico. 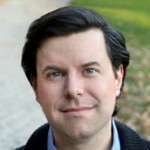 He is an American Pulitzer Prize–winning reporter at The New York Times, where he writes for the business section. He lives in Brooklyn, New York City. He is a graduate of Yale University and Harvard Business School. In 2012, he was part of a team writing a series titled "The iEconomy" about Apple, and the company's influence within the U.S. and abroad. That series won the 2013 Pulitzer prize for explanatory journalism. Duhigg's book about the science of habit formation, titled The Power of Habit: Why We Do What We Do in Life and Business, was published by Random House on February 28, 2012.